Why hadn’t I spent more time appreciating this place? A mild sense of regret trickled through me as I stepped out of the train station and into Leiden, a beautifully preserved Dutch town cut with canals and dotted with windmills. 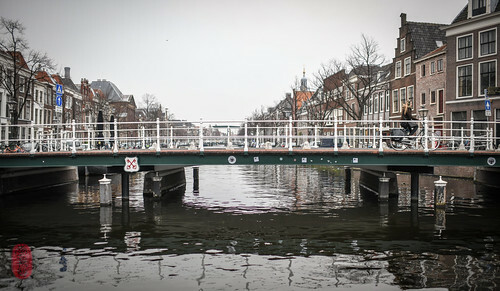 Clean and uncluttered, Leiden is the Dutch postcard that Amsterdam is not. I am not proud to say that, when I first arrived in Leiden in the fall of 2005, I was there for all the wrong reasons. Like many who take a semester abroad, I was a tourist using academic cover to pose as a student. In fact, the only reason I chose the University of Leiden out of a catalogue of sister institutions was for its proximity to trains and planes. Amsterdam’s Schiphol Airport is only 20 minutes away, and from that hub, an incredible network of travel stretched across Europe. That semester I visited nearly a dozen countries. More significantly, I visited my first Michelin-starred restaurant (Bon Lloc – now closed, this was Mathias Dahlgren’s first restaurant in Stockholm, Sweden). I visited my first two Michelin-starred restaurant (Mosconi in Luxembourg – it has maintained its two stars to this day). And I visited my first three Michelin-starred restaurant (Dieter Müller at the Hotel Schloss Lerbach in Bergisch Gladbach, Germany – when I returned in 2011, Müller had retired, and Nils Henkel had retained the three stars, losing a star the following year, and sadly closing the historic restaurant in 2014). By the end of that semester, I had managed to visit restaurants totaling nearly 40 Michelin stars. And remember, this was before the Michelin Guide began rating restaurants in the United States. I returned home having learned shamefully little about E.U. law, but an immense amount about restaurants and, more importantly, the way I like to eat. To be frank, when I lived in the Netherlands, I found the Dutch dining scene thoroughly uncompelling, if not laggard. And sadly, no news in the years in between has compelled me to return. In fact, when I solicited restaurant recommendations for this latest trip, from both trusted sources and on social media, I received lukewarm responses. Most of the recommendations circled a small group of “contemporary” fine dining restaurants, all of which appeared interchangeable with each other (or any number of similar upstarts around the globe for that matter) – groupthink factories for mise en place landscapes and colorful splatter art. (Modern desserts seem particularly plagued by this silliness; pastry chefs communicating in Morse code. And I don’t understand the obsession with hiding meat and fish – veiled under leafy greens, or covered by a forest of herbs or under shingles of shaved root vegetables. It’d be unique if it weren’t so… everywhere.) Ironically, it was here in Holland that I learned, 13 years earlier, that culinary stylishness and quality are rarely companions. So, I returned to the Netherlands a couple of weeks ago with low dining expectations. It wasn’t the primary purpose of my trip anyway. The two most highly rated restaurants I visited – each having a Michelin star – reinforced my low expectations. They ticked all the modern-day fine-dining boxes. 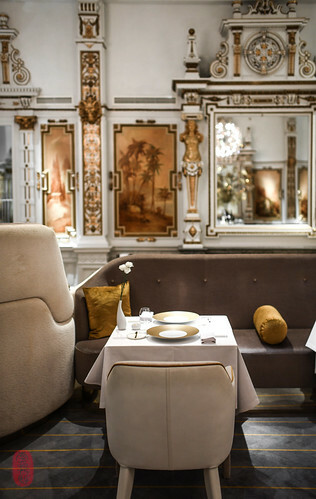 The restaurants were beautiful, especially the magnificently preserved White Room, with its high ceilings and gilded moulding. 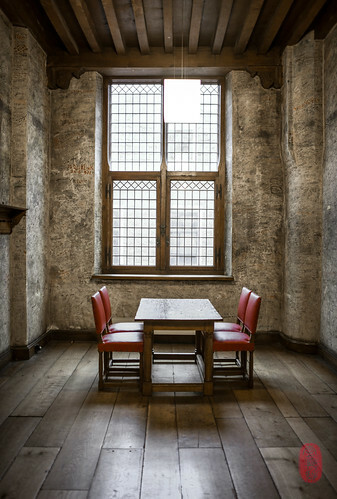 Dating to 1885, it’s the oldest dining room in the city. Both restaurants offered compelling platitudes about seasonality, quality, and locavorism. At Rijks, chef Joris Bijdendijk’s restaurant at the Rijksmuseum, my dinner began with slices of saucisson made from local goat, an animal, as the accompanying card claimed, that is under-utilized in the Dutch food chain. I’ll even admit that both served some surprisingly tasty food. The North Sea crab at Rijks, for example, was a terrific dish – a generous portion of finely picked crab meat (here, hidden under thin slices of kohlrabi) with a flavorful bisque of coconut and lovage. But when it came to the one thing that matters most to me – the ability to cook to order (as opposed to prepping, warming, and assembling) – both restaurants failed to gain my confidence. The 49€ turbot at The White Room was undercooked. The sides of the fillet pulled off nicely. But the thick trunk along the middle seam was translucent, cool, and raw. I could not cut it. It was beautifully plated, but nearly half of the fish was inedible. The Chaamse Hoender chicken, a rare and dying Dutch breed that Bijdendijk champions at Rijks, was dry. The thigh portion was passable. But the white meat was not. Was it the breed? If so, perhaps we should dispense with romancing a rare bird, or at least warn the diner that the dryness is by design and not by error. Context always helps. Or was it simply overcooked? Mistakes are forgivable. They happen at the very best restaurants. But even if the errors I encountered at The White Room and at Rijks were exceptional (at each restaurant, it was limited to one dish out of many), you can certainly understand why they don’t lessen my cynicism about the current state of restaurants, especially the ones getting the ratings and the attention. Focus all you want on seasonality, quality, and story. But make sure your food is cooked properly. Because if it’s not, then it’s truly naught. Dingy, dirty, and crowded with tourists, Amsterdam has never been, and still is not my kind of place. During this Dutch Golden Age, the arts and sciences flourished under the auspices of wealthy patrons. 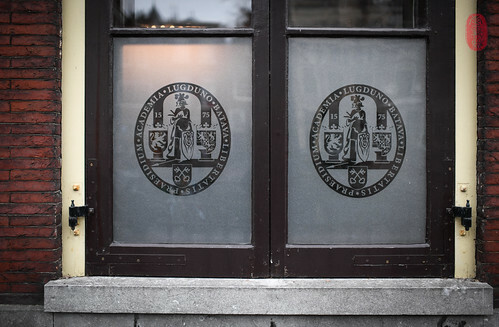 Thanks to the founding of the University of Leiden by William I of Orange, and the unusually tolerant religious climate among the Dutch, leading scientists, mathematicians, astronomers, and philosophers flocked to the Netherlands. Among them were botanists, whose work with tulips at the Hortus Botanicus, the famous botanical garden founded in Leiden in 1638, fueled the famous, frenzied futures trade better known as the Dutch “tulip mania.” Artisans and craftsman too benefited from this prosperity. Lacemaking techniques arrived from Spain; Delft pottery became as prized as the ceramics of China. And, of course, Dutch and Flemish painters, like Rembrandt van Rijn (who is from Leiden), Johannes Vermeer, Frans Hals, Antony van Dyck, Peter Paul Rubens, Bartholomeus van der Helst, and Jan Steen, among dozens of others, became revered as international masters. It is primarily for this rich, Dutch history, now strangely intertwined with my own, that I now returned to the Netherlands more than a decade later. The country is littered with beautifully preserved cities like Haarlam, Delft, Utrecht, Den Haag, and especially Leiden, which is ground zero to so much history. Although I was not unaware of it as a student, in retrospect, I spent woefully little time there appreciating it. I forgot how dreary Dutch winters can be, or how cutting and cold the humid air can feel. I was quickly reminded as I stepped out into the cobblestone streets of Amsterdam. I eagerly retreated into museums. 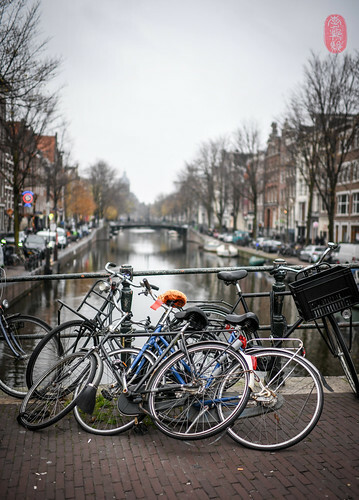 Having visited Amsterdam quite a few times before, I had been to most of the city’s major landmarks, including Anne Frank’s home, and the Van Gogh Museum, both of which I highly recommend. 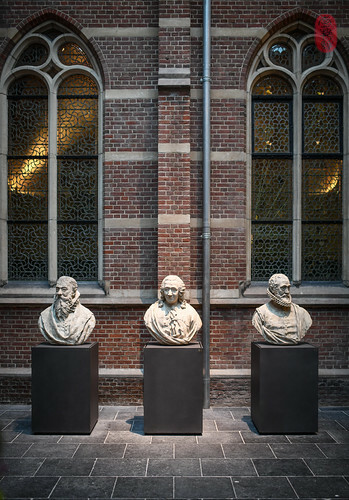 Like many art museums, the Rijksmuseum isn’t simply a repository of old paintings. Thoughtfully arranged, it tells the story of the Dutch people. 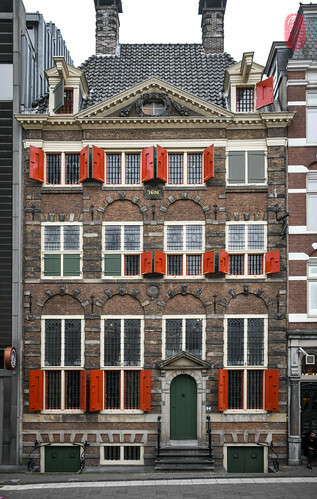 Rembrandthuis – Rembrandt’s house – also, was a gem. Catch one of the scheduled lessons in paint mixing and etching, and you’ll leave with a much greater appreciation for Rembrandt’s skill as a craftsman, not just as an artist. That distinction is just as important in the art world as it is in the culinary world. Contrary to popular belief, cannabis is illegal in the Netherlands. But the Dutch government chooses not to enforce the law. So, you will find what I call “marijuana dens” operating under the guise of “coffeeshops.” Often brightly lit with neon signs, they, and the open smoking of marijuana on the streets of Amsterdam, are, in my opinion, a blight on the city. Coffee, on the other hand, is found in a koffiehuis (“coffee house”) or “café.” Tapping into the hive mind online, I found a couple of good ones. I was particularly impressed by the coffee at White Label, located along a strip mall on Jan Evertsenstraat. 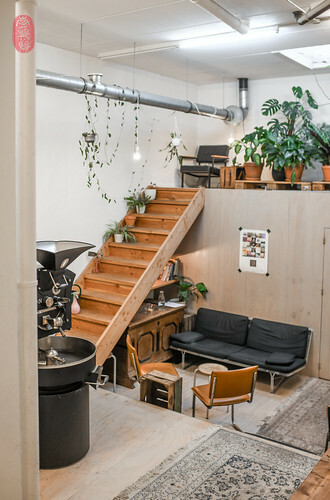 The shotgun space has a strange, pyramid stair-step configuration, with seating on the two or three levels leading up to the counter at the top in the middle, and two or three more levels of seating going back down on the backside, where you’ll find the roasting machine. In one back corner, a flight of stairs leads to a single-seat perch under some piping. 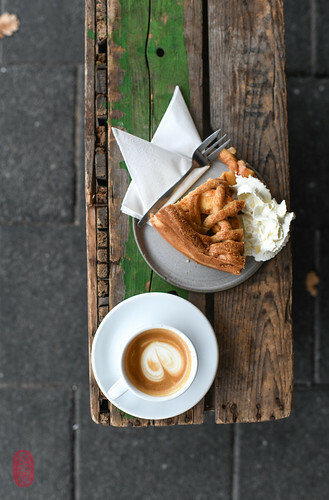 The coffee here was great, and so was the lattice apple pie, served with some whipped cream. I brought back a bag of White Label’s Ethiopian Gesha honey-washed beans, and it’s fantastic. Scandinavian Embassy, at one end of Sarphatipark in the city’s “de Pijp” neighborhood, was also decent. 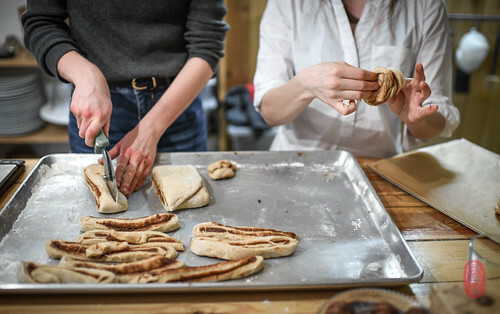 The owner is from Sweden, and, in addition to selling beans from Scandinavian roasters (I saw bags from Denmark’s “Coffee Collective,” Sweden’s “Drop,” and a new Norwegian roaster “Lippe”), this café also offers rye bread with cheese, and cinnamon rolls, which I watched them make. 1. Safety: No cash, no fear of robbery – from strangers or employees. 2. Efficiency: No cash, no need to count and account for daily transactions. 3. Cleanliness: Money is dirty. And when the person who is taking payment is also often the person who is touching your cups, plates, and service items, avoiding cash minimizes contact. Are there good places to eat in Den Haag (The Hague)? 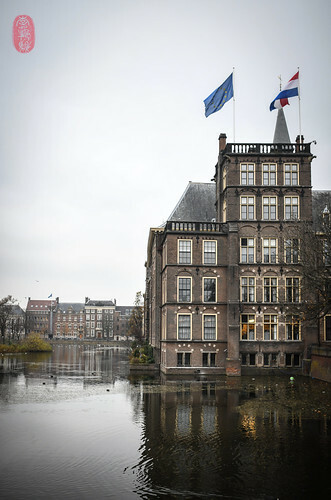 It’s the formal seat of government for the Netherlands and home to the International Court of Justice. There has to be good food here, right? If there is, please let me know so that the next time I visit, I can stay for dinner. Next to the Binnenhof – the Dutch States General is the oldest house of parliament in the world still in use – is one of my favorite museums. 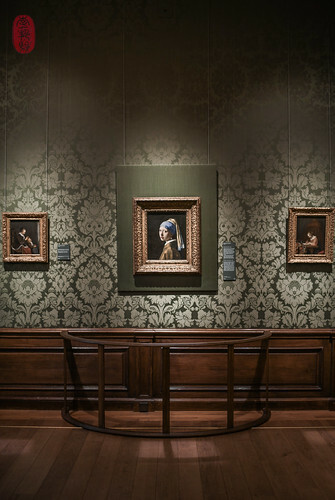 In the years since I first visited the Mauritshuis, it has added a huge, underground entrance that includes a café, gift shop, and access to a neighboring exhibition space. Though the museum is a large manse, once home to Johan Maurits, Prince of Nassau-Siegen, as museums go, it’s quite small. And the intimacy created by its smallness is part of its charm. Despite this, it features some of the Dutch royal collection’s most prized paintings of the Dutch Golden Age, including multiple Rembrandts, Rubenses, and van Dycks. Most famously, the museum is known for Johannes Vermeer’s “Girl with the Pearl Earring” (from which some regrettable fiction has been recently spun). People flock to her and ignore the stunning painting of Delft across the room, Vermeer’s only landscape. But despite all of these Dutch masters, nothing pleases me more than the four portraits by the German painter Hans Holbein (the younger), who found himself the king’s painter at the Tudor court of England. 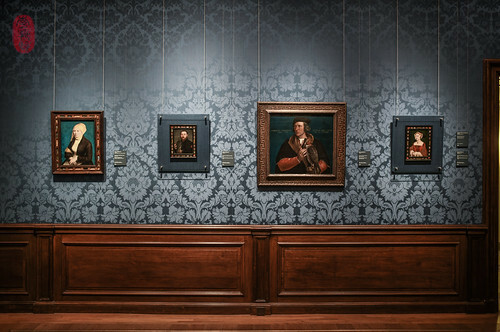 All four of these portraits, including a small one of Queen Jane Seymour and a stunning painting of falconer Robert Cheseman, hang on one wall. And that one wall brought me back. There happened to be a special exhibit on display at the Mauritshuis: “National Trust – Dutch Masters from British Country Houses.” This comprised 22 paintings by Dutch masters from 12 historic houses in the United Kingdom managed under the British National Trust. They included a portrait by Gerrit van Honthorst of the aging beauty Elizabeth Stuart, who, as Queen of Bohemia and later, as sister to the deposed Charles I of England, spent 40 years in exile in Den Haag. Now hanging in Ashdown House, this portrait, which had been painted in Den Haag, was on a homecoming. There was also an outrageous portrait of the war hero and true Renaissance man Prince Rupert of the Rhine (Elizabeth Stuart’s younger son) by Simon P. Verelst. It belongs to Petworth House. Breda is a lovely neighborhood restaurant in the heart of Amsterdam. 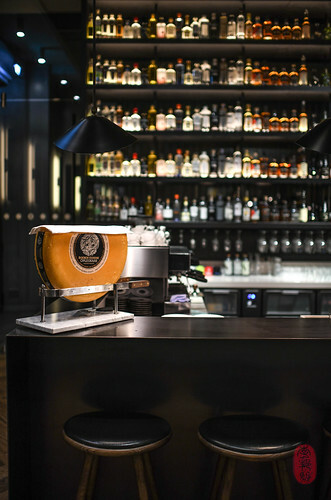 It’s named after the restaurant’s team’s hometown, a city in the southern part of the Netherlands. The food here is described as “international.” I’m not sure how I would describe it. But what I can say, is that the food was delicious (especially the steak tartare, which was hidden under shingles of shaved beets – hopefully this proves that I’m not too dogmatic about it all, even if I am cynical). The ingredients were fresh and flavorful, especially a bunch of young carrots, which were candy-sweet. And every one of the seven courses was cooked correctly, including a bowl of plump mussels simply “cooked in their own juices,” and a small cut of Dutch dairy cow, barely dressed. 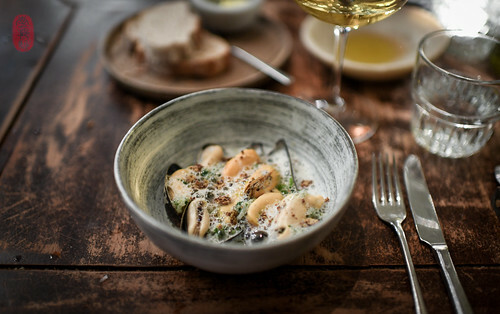 Restaurants like Breda demonstrate that keeping things simple and good goes a long way. I would say the same of Pendergast. I know that name because it belongs to an infamous mob boss from my hometown. The long shadow of his criminal career stretches into the present day, where you’ll still find buildings and landmarks reminding us of his influence in Kansas City during the Prohibition era. In fact, his shadow stretches all the way to Amsterdam. This barbecue restaurant is named after that very same Thomas J. Pendergast of Kansas City. As I was told, the owner, Brandon Woodruff, is a Kansas Citian who moved to Amsterdam. I wouldn’t go so far as describing this restaurant as a Kansas City-style barbecue restaurant (as it was described to me by the tall, kind gentleman who was host, server, and bar man that night). There was brisket, albeit a bit thicker than it would be cut in Kansas City. There were ribs – from fatty Duroc hogs – which were terrific (it was dry-rubbed). And Pendergast serves “meaty beans” that, true to the description, were half beans and half chunks of meat. Pendergast even makes its own barbecue sauce, which is quite Kansas City-like – thick, tomatoey, and on the sweet side. Missing, however, were slices of white bread, coleslaw, and fries; common badges of Kansas City barbecue. At the same time, quite a few things on the menu cited Pendergast closer to the American South: macaroni and cheese, black-eyed peas, pimento cheese, and pulled pork. An all-star cast of America’s edible treasures perhaps, however, from the Kansas City menu they are not. But ultimately, these nits are neither here nor there, especially to the happy Dutch customers who packed this cozy corner restaurant near Amsterdam’s Westerpark. On my last afternoon in the Netherlands, on my way back to Amsterdam from Den Haag, I stopped off in Leiden. Even in the dull, grey winter, this old city was beautiful. Outside, I walked through the famous Hortus Botanicus, which was quite brown in late November. Feeling a bit sheepish, I even worked up the courage to stop by the law school, where I should have spent more time in class. Regret mingled with a bit of guilt. And yet, I reminded myself that my time in the Netherlands was not ill-spent. Not at all. I received an incredible education, even if it was extracurricular. My time there was formative. It was indelible. And now 13 years later, I realize just how magnificent of a backdrop I had while writing that chapter of my own, personal history. (1) Frequent travelers appreciate the benefits of loyalty with one airline alliance. In my case, I have chosen SkyTeam, which includes the U.S-based carrier Delta, the French carrier Air France, and the Dutch carrier KLM Royal Dutch Airlines (among other partner airlines in Asia). When it comes to trans-Atlantic travel, I highly prefer to transfer through the Dutch hub Schiphol rather than the unmitigated disaster that is the French hub Paris-Charles de Gaulle. (2) If you want to learn more about Peter the Great’s love affair with Dutch shipbuilding, I highly recommend Robert K. Massie’s biography “Peter the Great,” for which the author was awarded a Pulitzer Prize. (3) In fact, so much of Dutch banking and commerce is done by credit and debit (that is, electronically), that individuals are assessed high banking fees if they deposit more than 15,000€ in cash per annum to their personal bank accounts. As I was told, everyone in the Netherlands is paid through direct deposit. Therefore, anyone depositing that much cash (per annum) triggers suspicion. So, these high banking fees also discourage money laundering, or unreported or possibly illicit income. 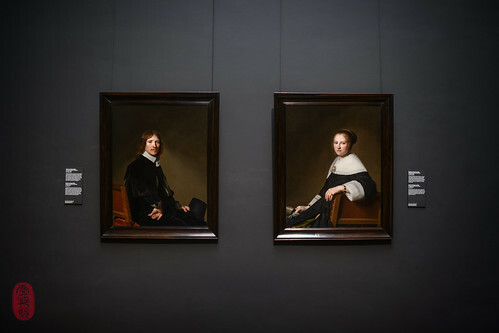 Photos: A wall of Holbein at the Mauritshuis in Den Haag; Turfmarktbrug in Leiden; The White Room at the Grand Hotel Krasnopolsky in Amsterdam; Rijks at the Rijksmuseum in Amsterdam; Rembrandthuis in Amsterdam; a tangle of bicycles in Amsterdam; portrait of Eduard Wallis and his wife Maria van Strijp by Johannes Cornelisz Verspronck at the Rijksmuseum in Amsterdam; White Label in Amsterdam; cortado and lattice apple pie at White Label in Amsterdam; Binnenhof (Staten-Generaal) in Den Haag; “The Girl with the Pearl Earring” at the Mauritshuis in Den Haag; mussels in their own juice at Breda in Amsterdam; busts of Rembert Dodoens, Carl Linnaeus, and Carolus Clusius at Leiden University in Leiden; the “Sweat Room” at the University of Leiden in Leiden; windows at the University of Leiden in Leiden; making cinnamon rolls at Scandinavian Embassy in Amsterdam. ~ by ulterior epicure on December 5, 2018.